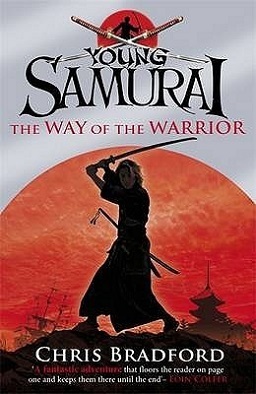 Main Characters: Jack Fletcher, Akkio, Yamato, Masamoto, Saburo, Yori, Kiku, Dokugan Ryu, Sensei Yamada, Hiroko, Sensei Hosokawa, Sensei Yosa, Sensei, Kyuzo, Kazuki, Nobu, Tenno, Taka-san, Father Lucicus. Description of one of the main characters: Jack is a boy from England. He is the son of a pilot of a ship. He and his father set out on a journey to the ‘Japans’. He chooses the way of the warrior and learns the Japanese Martial arts – Kenjutsu, Taijutsu, Kyujutsu, Zen – to be come a “Young Samurai”. Whom I like and why: I like Akiko very much. She is from a Samurai family, she is Jack’s best friend in Japan. She is a samurai. She is skilled in Kenjutsu – bow and arrow. Whom I dislike and why: I dislike Kazuki as he is rude and arrogant. Even after Masamoto declares that Jack is his son and one of the Samurai family, Kzuki thinks that the ‘giaijin’(foreigner) is unfit to learn ‘their’ secrets and ‘their’ martial arts. Setting/Theme of the story: Jack Flectcher along with his father goes on a voyage to the Japans. When they almost near Japan they are attacked by Wako, Japanese ninja pirates. Masamoto, a legendary Japanese samurai, saves Jack and brings him to his house. Dokugan Ryu, a ninja, kills Jack’s father. Jack is taken-care of in Masamoto’s house by Masamoto’s sister Hiroko. Father Lucius, a Portugese priest, who knows English acts as a translator for Jack. Masamoto gives Jack, ‘the rutter’, a book which Jack’s father had. Jack’s father had told Jack to never loose the book as it contains secrets about steering ships. Father Lucius is keen on getting the rutter from Jack. Father Lucius teaches him to speak Japanese and soon Jack starts speaking Japanese fluently. Masamoto asks Jack who killed his father. Jack describes Dokugan Ryu, the same ninja who killed Tenno Masamoto, his son. So, he adopts Jack as his son in place of Tenno and declares that he is a young samurai and no more a ‘gaijin’, a foreigner. He meets Akiko and become good friends with her. He goes to study Japanese martial arts in Masamato’s school, Niten Ichi Ryu where he learns the way of the warrior – Kenjutsu, Taijustsu, Kyujutsu and Zen. He becomes the enemy of Kazuki, a student of Niten Ichi Ryu. Jack and Kazuki’s two cousins who study in Yagyu Ryu, get into a fight. The founder of Yagyu Ryu, Kamakura proposes a Taryu-Jiai between Yagyu Ryu to see which school trains better. Jack, Saburo and Akiko participate from Niten Ichi Ryu. The Niten Ichu Ryu wins the Taryu-Jiai and becomes the No.1 martial arts school. Jack proceeds from bushido - way of the warrior – to kindo – way of the sword. Part I enjoyed the most: I enjoyed the aprt when Jack learns all the Japanese etiquettes.